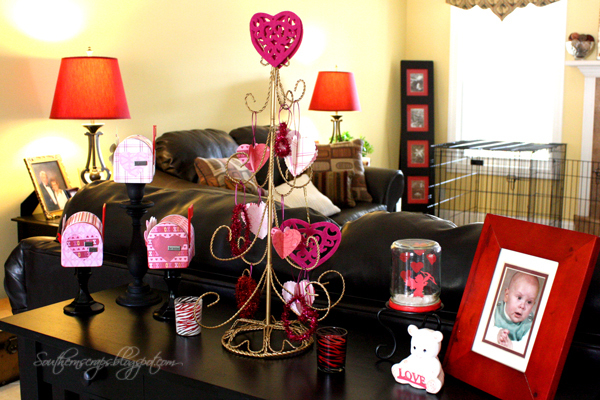 I thought you might like to see how I put together my Valentines mailboxes, tree, and snow globe for a little vignette. I didn't decorate my mantel this year, but I got this vignette up. I've been doing a little more healthy cooking so my time has been consumed in the kitchen rather than decorating. 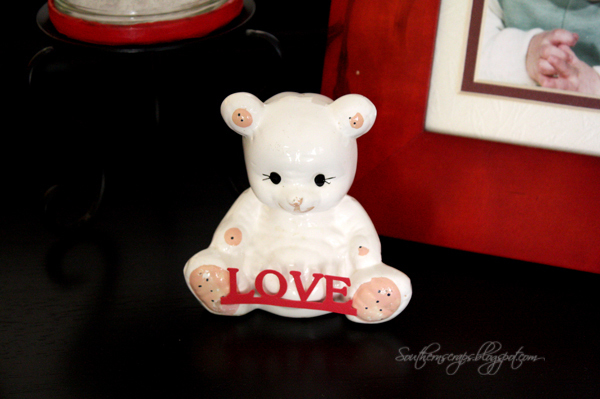 The star of my vignette is this little bear I picked up at Goodwill for 49 cents. I was looking for a piece to make the snow globe with but this one didn't work. Hubby had commented that he liked this little bear, so I knew he had to be used. I thought he needed just a little extra touch so I cut out the word love with my Silhouette SD and attached it to the bear with glue dots. I hope you get to spend lots of time with the ones you love this week. how festive and adorable! 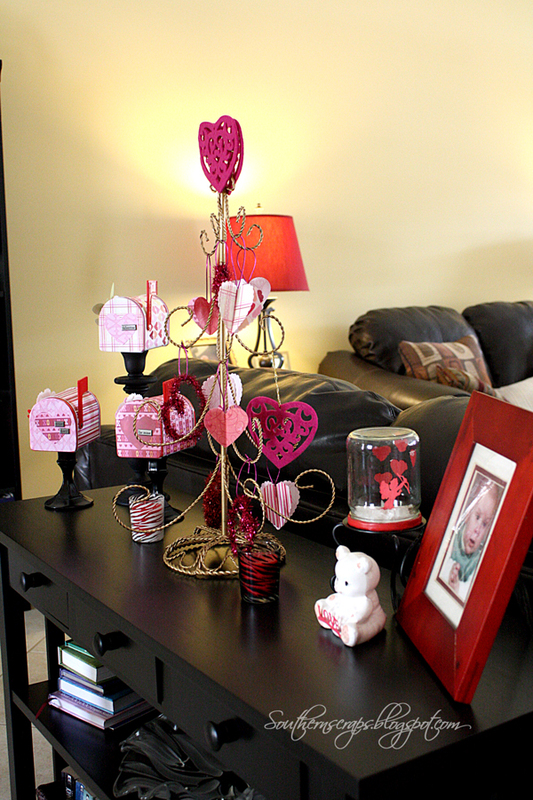 i love how you put everything together :) beautiful. Oh cuteness - it's so pretty. And I love that bear!! That's an awesome thrift store find!